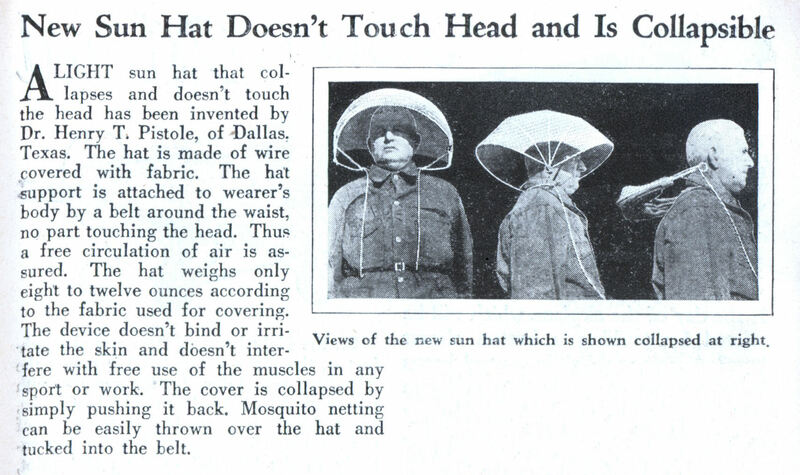 A LIGHT sun hat that collapses and doesn’t touch the head has been invented by Dr. Henry T. Pistole, of Dallas, Texas. The hat is made of wire covered with fabric. The hat support is attached to wearer’s body by a belt around the waist, no part touching the head. Thus a free circulation of air is assured. The hat weighs only eight to twelve ounces according to the fabric used for covering. The device doesn’t bind or irritate the skin and doesn’t interfere with free use of the muscles in any sport or work. The cover is collapsed by simply pushing it back. Mosquito netting can be easily thrown over the hat and tucked into the belt. It’s like having your own personal Skydome roof. Your own personal really ugly Skydome roof. Hm…. muss my hair… or wear a silly hat….. nah, I’ll stick to my fedora. Is there some problem with hats touching the head that I’ve missed? When it’s unfurled to the back, won’t that be a new problem when it gets caught on a car head rest? George: As it clearly says, the design allows for free circulation of air. Problematic when it touches the head. 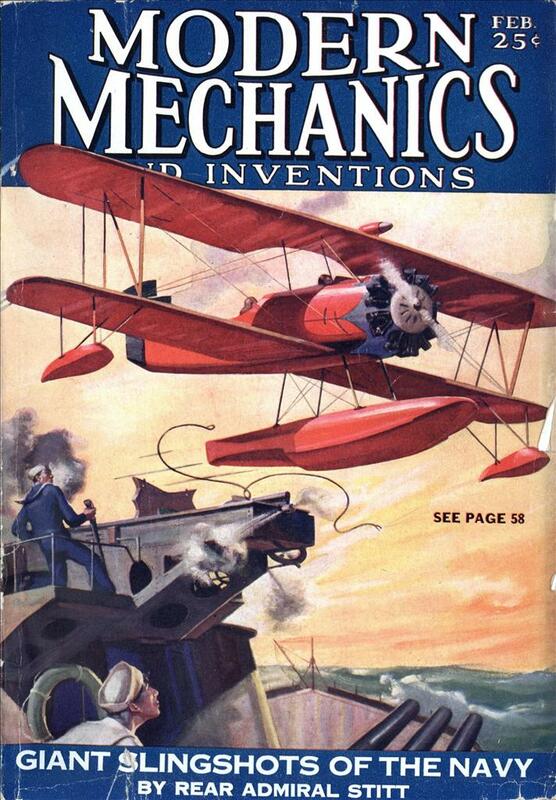 To all the critics that patent has been referenced at least 4 times so far by other inventors. By the way, not a lot of car head rests in 1930 (but you knew that). Wow. The middle photo reminds me of a rebel soldier in one of the star wars films.